Have you ever loved or imagined an idea, seen it many times, and never known that you can create it? It’s exactly how things came about with steampunk in my life. I received an email for the opening of “ODD BEAUTY: The Techno-Eccentric World of Steampunk” at the South Hampton Art Center which I attended and, from the moment I walked in, knew that it’s what I wanted to do, or try to do. After seeing some of the items, several which I purchased, I felt that I could do it. Special thanks to Dave Duros who has an amazing vision and Steven J. Smith - I own one of his airships and have looked over many of his workshop videos on YouTube. My inspiration for my pieces has come from that particular Steampunk art show which ignited my creative juices. 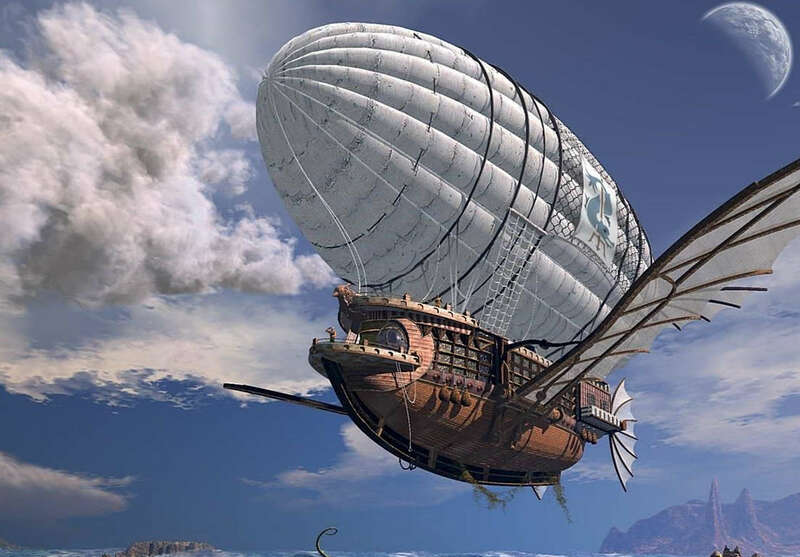 Creating an Airship is somewhat a dreamy process, you never know where or what you’ll end up using, it’s like a road trip without a map and not a clear path of which materials or items will I use or will find to use on creating my next Airships. All of my Airships are named after a family members and inspire some creative thinking to the personality of such relative.